Excerpt from the Political Report to the Fifth Congress of the African People’s Socialist Party. 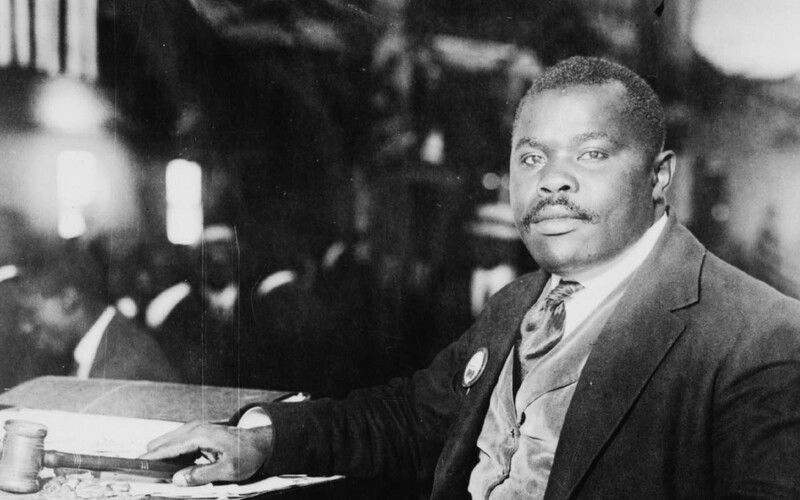 The work of our Party is based on the fundamental assumptions of the Garvey Movement. We recognize the fact that ours continues to be, even today, a struggle to reverse the verdict of imperialism. We are one African people, a nation forcibly dispersed around the world and whose national homeland, Africa, continues to suffer under the mostly indirect control of imperialist exploiters. The African People’s Socialist Party (APSP) has advanced the understanding of the Garvey Movement with the scientific theory of African Internationalism. We are the Garveyites, the African Fundamentalists of the 21st Century. With the founding of the African People’s Socialist Party, we have solved a fundamental problem of the struggle for the genuine liberation of Africa and African people. We have provided our struggle with the sound, scientific, advanced theory, correct political line and organizational structure that are necessary requirements for the liberation and unification of Africa and African people worldwide. Victory is in sight and the death of imperialism is forthcoming! Our theory has helped us to understand and struggle against imperialism during this period of imperialist instability and crisis. It is adherence to the theory of African Internationalism that protects us from the spontaneity that characterizes so much of the African Liberation Movement. Theory allows us to have the long view, to develop a strategy based on recognition of the nature of the imperialist system and the relations of forces at any given time. For years now, as many within the African Liberation Movement, or what passes itself as a leftist or communist movement, within the U.S. were trembling fearfully at the bluster of the past U.S. regime led by George W. Bush, we of the African People’s Socialist Party were able to say that the Bush war-mongering was simply the desperate thrashing of a dying imperialism. This dying imperialist system has been made frantic by its growing losses to the peoples and countries struggling to recapture our sovereignty and resources upon which imperialism depends to survive and prosper. Imperialist desperation is not something that began today and our Party did not discover the crisis of imperialism with the advent of George W. Bush at the helm of the predatory imperialist U.S. government. “The period that we live in today is a period that is clearly marked and characterized by the struggles and victories of the colonial, neocolonial, and dependent peoples and countries over world capitalism led by U.S. imperialism. It is also a period . . . characterized by attempts of world capitalism, led by U.S. imperialism, to launch a vicious counteroffensive to smash the struggles and victories of the world’s peoples and countries fighting for national liberation, political independence and economic and political justice. “This epoch of struggles and victories over neocolonialism and dependency represents the leading revolutionary tendency in the world today. It is an epoch that finally thrusts humanity upon the threshold of world socialism, for it challenges the very foundations upon which world capitalism is built. Since its inception, the African People’s Socialist Party, heir to the glorious tradition of African resistance, has struggled to overcome all obstacles standing in the way of the emancipation of our brutally oppressed and exploited Africa and the dispersed African nation. For articles written from the point of view of African Internationalism, subscribe to The Burning Spear newspaper!